Whether making tracks on desert sand or pounding city streets, ultra-marathon runner Rebecca Watson doesn’t stop when her period starts. 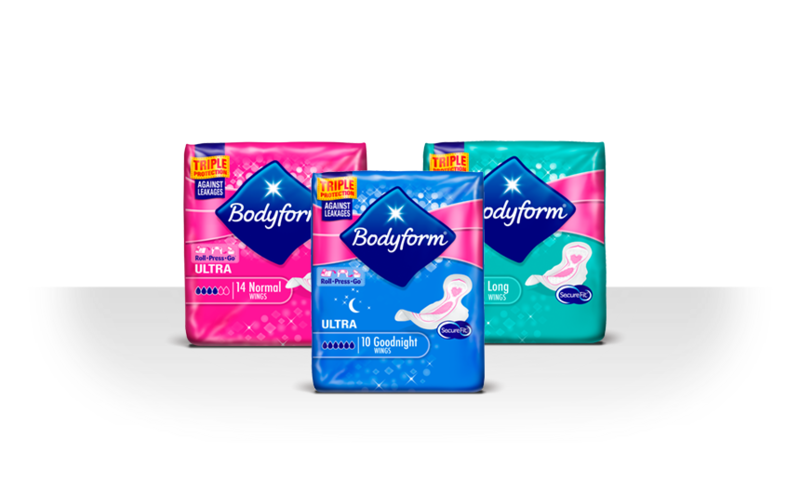 Bodyform FreshProtect towels have a breathable top layer and SecureFit™ to shape to her body, for total protection against leaks. So she feels confident, fresh and protected till the last mile. Featuring SecureFit™, our towels are designed to shape to your body, so you’ll be protected against any leaks. You can feel confident, whatever you’re doing. A soft, breathable top layer and super-absorbent core keep you fresh, clean and dry from morning till night. When life’s fast-paced, you’ll want a pad that can keep up. Bodyform FreshProtect towels have a breathable top-layer that’s super soft against your skin. SecureFit™ shapes to your body, giving you comfort and total protection against leaks. So whatever you’re doing, you can feel confident, fresh, and in control.